Coral Capiz Mini Chime. These chimes produce a delicate tinkling sound. These chimes are small, but they pack a big punch.They'll add wonderful music to your garden, kitchen, dorm room or patio. Wood top with 1 inch capiz shells . Thirty round shells and five square shells. Capiz shells come from pearl oysters, commonly known as kapis. These shellfish are farmed in Indonesia and every bit of the oyster is used. The shells are carefully sorted, dried, sliced, shaped, sanded and dyed. Strung together with strong, invisible, nylon cord, the thin, flat translucent shells provide luminous color. 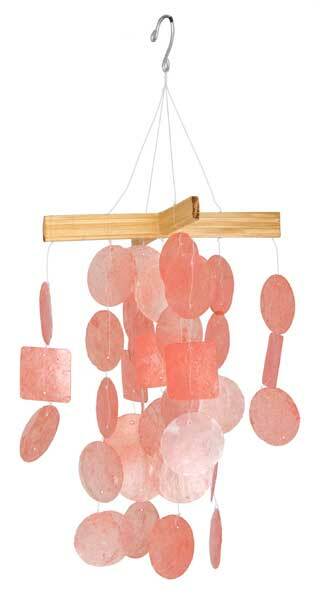 When touched by the wind, these chimes produce a delicate tinkling musical sound. In the 1500s, these shells were used as windowpanes in houses; now they are used in all sorts of home decorations, including lamp shades, vases and, of course, windchimes! Hummer Helper Cage and Nesting Material. The Only Nesting Material Proven to be used by Hummingbirds! Includes hanger full of material. Hummer Helper helps take the place of spider webs and lichen in lining the tiny nests. Note: Goldfinches, Titmouse, and other birds also use it! Perfect for backyard and family use. Weatherproof, motion-activated, and easy-to-use, this digital BirdCam captures photos and videos of your birds while you are away. Records to SD card or internal memory. No tools, wiring, or software required. Many mounting options. Smart Sensor technology ignores feeder movement and minimizes empty shots! Protect your hummingbird feeder from the sun and prolong the life of the nectar. Color red to attract hummingbirds. A brush kit that can clean every part of every Oriole and Hummingbird feeder! Keep your hummingbirds safe from disease with regular cleaning. The fastest and easiest way to mix and pour nectar for Hummingbirds and Orioles. 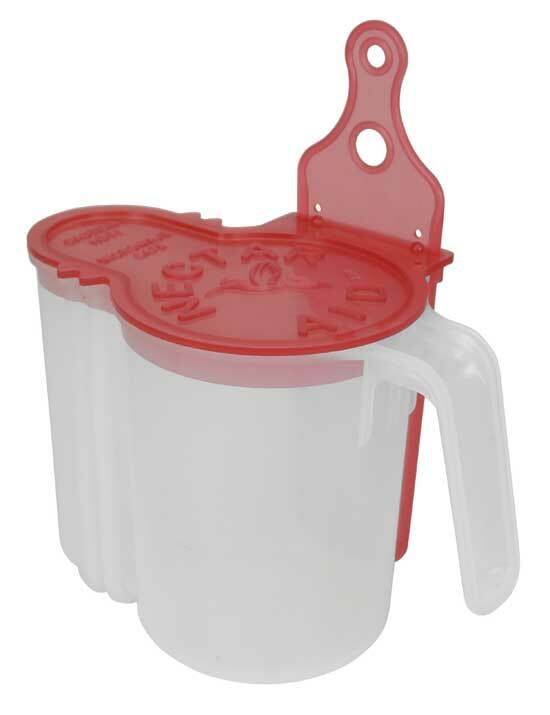 Nectar Aid is a mixing pitcher, measuring cup, microwave container, mixing spoon, funnel and storage container.